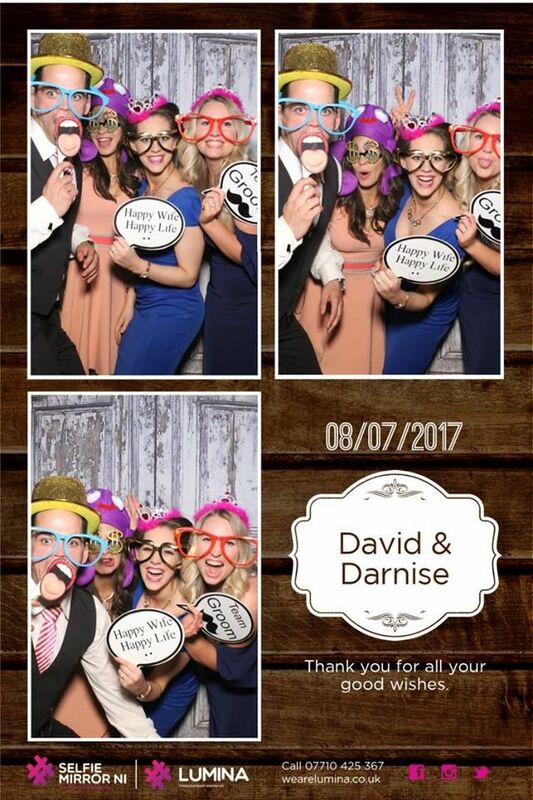 Forget about the photo booths which have come before Selfie Mirror NI was Northern Ireland’s first and most innovative interactive wedding mirror. 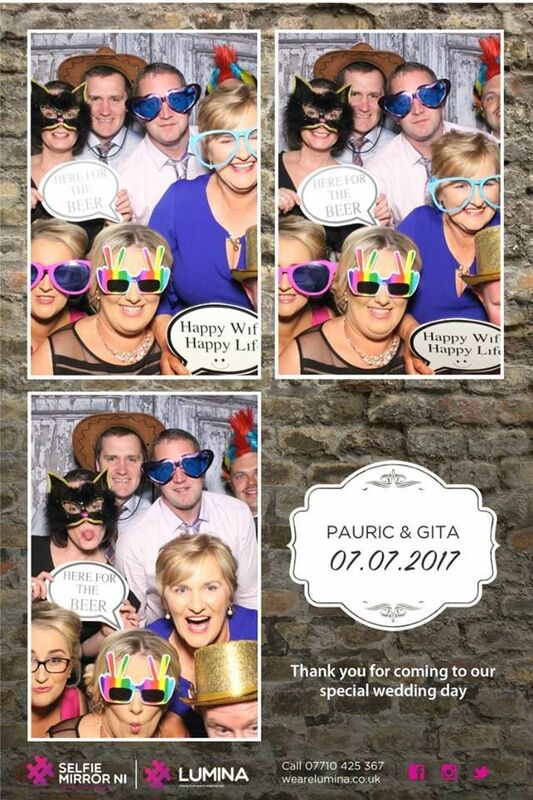 Our team of highly skilled mirror operators ensure that your wedding reception is a fun filled, interactive and memorable experience for you and your guests. Our Selfie Mirrors NI currently boast the most advanced mobile digital photography experience. Unique to the market place it provides your wedding with a unique interactive experience that everyone will be drawn towards. 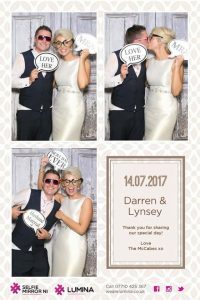 Our wedding Selfie Mirrors NI technology is updated monthly with unique features such as animations, games and much more…. Your guests will be invited to walk in front of the wedding mirror, where extraordinary colourful animations will appear as if by magic behind the glass and invite them to touch the mirror to start their interactive photo journey. They will also be able to sign their signature on the mirror and leave you video messages! Your guests can even have a fun screaming contest as the built in microphone measures the noise level and displays it as a meter reading which can be printed on their photo. Game on, your guests can fill their evening playing interactive games on Selfie Mirror NI. 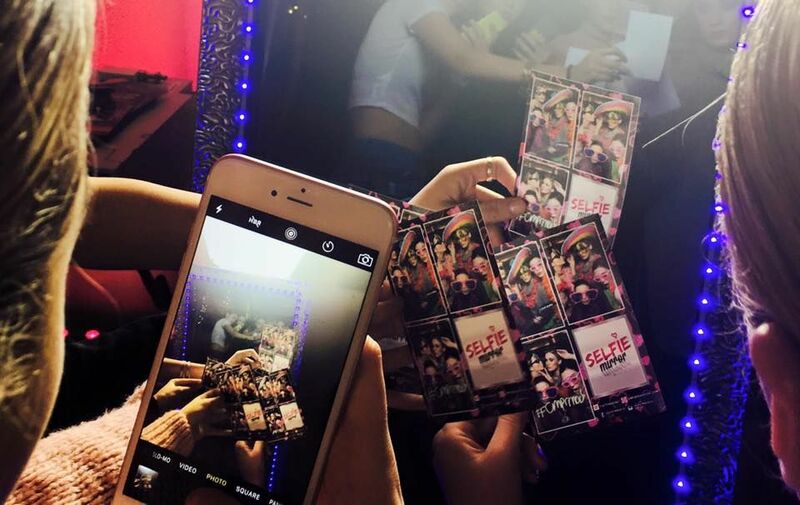 Are your guests always the first to post a filtered selfie on Instagram? Well now they can completely transform how they look using Selfie Mirror NI’s built in photo filters! Our new 30 sec video messaging features, gives your guest the chance to leave you a personal message and memories to last forever. Your wedding guests photos are printed out within minutes of the pictures being taken. They are professional quality 4”x6” prints, which can include 4 photos, screaming contest results and signatures. We can even incorporate your own monograms, logos or graphics. Add a social share element to your wedding as the Selfie Mirror has a social media station on the side which allows for guests to share their photo in real time to their social media profiles. This allows guests to connect to their social circles easily and share the experience. All photos taken at the event can be supplied for you so you can upload to your own social platforms. 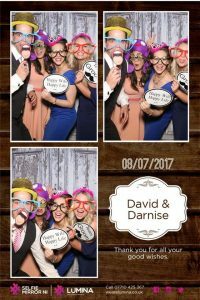 Selfie Mirror NI is the leading supplier of Wedding Mirror photo booths. 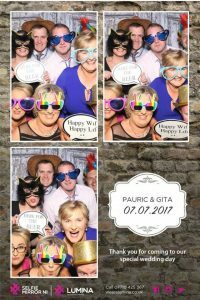 Our wedding team have over 20 years’ experience and love nothing more completing a wedding day on a high. Book Selfie Mirror NI, The Wedding Mirror experience.